The Tipping Point by Malcolm Gladwell seeks to explain how small movements can spiral into an avalanche and how localized hotbeds can join together and snowball into big trends. The Tipping Point starts as most captivating story begin: with an open loop. presents first the seemingly inexplicable re-birth of a brand that seemed on the verge of disappearing. In the 1990s the Hush Puppies shoes went from being popular in the Soho district of NY among the hipsters to spreading to the whole country. Gladwell will explain how that happens. Gladwell says that most social trends spread following the same rules. Whether it’s the spread of a disease like syphilis or the Hush Puppies shoes, they all have a moment the author calls “tipping point” that unifies many isolated enclaves into a unified trend. Gladwell notes that a few “super infectors” are responsible for most of the spread of the virus. These super infectors spread the virus to dozens or hundreds of other people. Connectors are people who know everyone and who help spread the word -or the virus- on a bigger scale. They often have varied interests spanning different realms, so they also help bring the trend to different industries and different personalities. Mavens instead of knowing everyone seems to know everything. 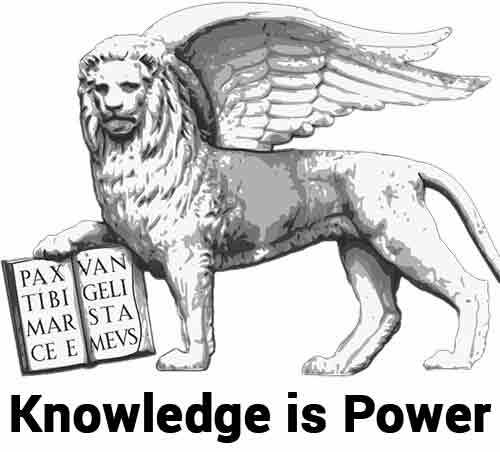 They read more than the average person and love to gather information. They also love using that information to help other people. They are enthusiastic about introducing new ideas and concept, and their passion is contagious and helps spread the trend with natural charm. Salespeople are able to influence others in changing their behavior or directing their buying decisions. Salespeople have great interpersonal skills and use the power of body language (check The Definitive Book of Body Language). 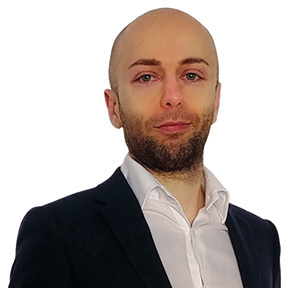 When not selling face to face marketing techniques are crucial (check Triggers by Joseph Sugarman). Most of all, from a Social Power Moves perspective I loved how Maxwell defines the power of influencing in conversation. Everyone has a different speaking rhythm, such as the words per minute or the moments he pauses or speaks. When two people meet, they will have to reach a common ground. But the one who draws the other into his own rhythm will be most powerful, influential and dictates the terms of the interaction. Gladwell calls “stickiness factor” a special quality or trait that “sticks” easily in people’s minds. There’s a way to package your information or product that, under the right circumstances, will make it irresistible. The power of context refers to the bigger environment around the product or trend itself. The environment can stifle or give impetus to the budding trend. Malcolm Gladwell uses the example of the welcome and yet strange and unexpected sudden decline of crime rates in New York in the 1990s. He says there were a few small but influential changes that helped by changing the context and he introduces the Broken Windows theory. The authorities in New York, for example, focused on ridding the subway system of graffiti and cracking down on subway fare dodgers. The Broken Windows Effect has critics of course. Read the National Bureau of Economic Research article on what helped make NY safer beside the contextual efforts. As a heads up, the paper says that the police measure that most consistently reduces crime is the arrest rate of those involved in crime. Gladwell explains that albeit major trends reach big numbers spanning different demographics often it’s one specific demographic that fuels that expansion. This concept reminded me of the 1.000 screaming fans Tim Ferris talks about and the Diffusion Curve that Start With WHY also mentions. The author also talks about group properties as related to the size of the groups. Up to 150 people the group members can know themselves personally and grow in intimacy. That intimacy effect and the efficiency that ensues is usually lost in groups of more than 150 members. In chapter 6 of Tipping Point Gladwell introduces the case study of the Airwalk shoes. Airwalk initial consumers were skaters, but the brand wanted to expand beyond. How to sell to people who never skated in their lives? The ad agency targeted many typical emblems of “coolness” spanning from gang culture to hipsters fashion. To manage to appeal both to masses and the more selective hip fashion mavers, the company had selected models for boutique stores and mass-produced models for department stores. Malcolm Gladwell addresses the potential rise of disturbing trends we sometimes witness among teenagers, such as mass shootings in schools, cigarettes, and suicides. He says teenagers are most likely, perhaps genetically predisposed, to imitate others and “try new things”. And those who champion those “new things” are also most likely to become the easily romanticized cool guys the teenagers want to imitate. I particularly liked how the author differentiates from “benign experiments” to abuse and suggest not to become hysterical at a teenager trying cigarettes or a drug for example. 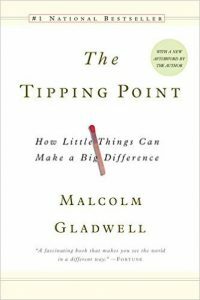 In the last chapter, Gladwell brings a few more examples of how some movements or brands used the tipping point rules he listed. Lexus, for example, spent an inordinate amount of money in pampering its customers when it had to recall a few autos. Why did the invest so much? Because the very first buyers were more likely mavens, people who care about cars and talk about cars. Those are the guys who would influence all the rest. A website like The Power Moves had to pick up on the little hidden social gem and power cue of the book. People have different speaking patterns such as speech rates and pauses. When they meet, the one who has the other adapt to his pattern is usually the one with the upper hand. When you spread your idea or product try to get mavens and connectors first to love it and they will help you spread it further. The Tipping Point is not a how to manual. The stories all sound interesting and plausible, but Thinking Fast and Slow explains how plausible stories are often a smokescreen to reality. Indeed I found the evidence behind those stories was lacking. Also “targeting mavens and cool people” to explain trends… That’s exactly what every brand is trying to do. Why that one was specifically successful? Could it be it was just chance? Those were the questions I was left with. Keeping in mind this is not an how to book and it’s a bit light on data… The Tipping Point is a well-written book with lots of wisdom to offer. I particularly enjoyed the rules of epidemics and the description of the people who help trends spread.